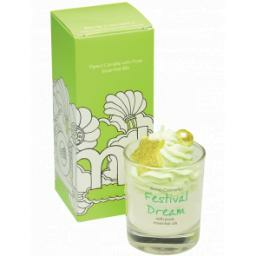 Festival dream Whipped Candle in a glass. A unique free-spirited and vibrant fragrance with red berries, cherry and warming amber with Clary Sage and Patchouli essential oils. Burn time of 30 to 35 hours.